It is Colin’s birthday today and the big reveal of my birthday surprise trip to Berlin. I think I managed to surprise him! Later this morning we decided to head up town to the Queen Elizabeth’s Olympic Park as we wanted to see the art installation ‘Shrouds of the Somme’. It really was one of the best pieces of public I have see. 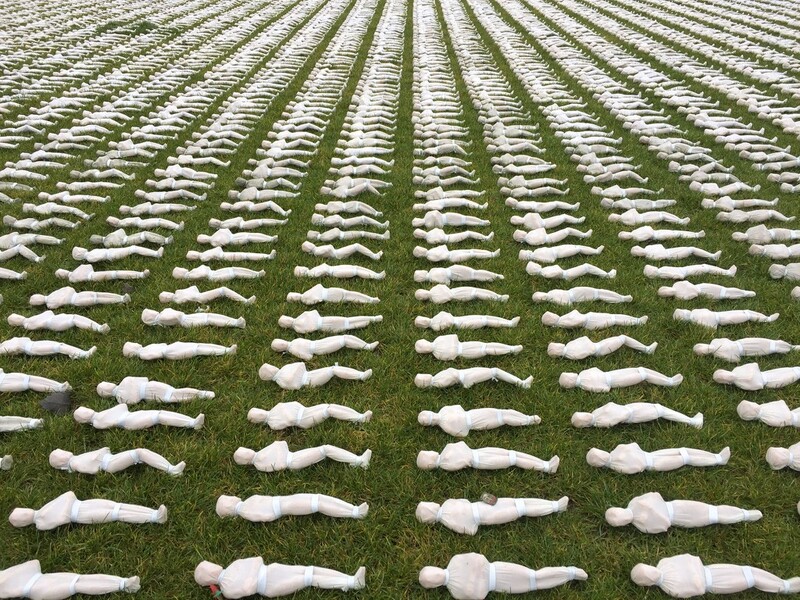 Over 72,000 miniature figures in shrouds all arranged in lines to represent the British soldiers killed during the First World War. Whilst we were walking around, volunteers were reading the name of every single soldier who had been killed - very moving. To top it all, thanks to the advice of a woman in the shop, we got to meet the artist himself - Robert Heard, shake his hand and tell him how much we thought of his work. Afterwards we explored the Olympic Park although it was pretty nippy so for just £2 entrance each we gained access to the swimming venue and were able to watch diving practice where Tom Daley did his Olympic diving. Then we decided to head home to avoid Fridays rush hour which somehow involved 3 different trains as there were problems with the line. We had a brief break before changing to go out for Colin’s birthday meal with the family at Piazza Firenze and the back to the house for birthday cake and presents. All in all a very nice day.